1 2 3 of 382 pages. If you have had the opportunity to attend our Munchkin Tavern at Gen Con, you would know just how popular our Munchkin Silipint designs have been! While originally designed for our first ever FnordCon, the Steve Jackson Games Silipint & Lid is the perfect drinkware for any occasion! Silipints are squashable, foldable, and unbreakable, and this one comes with a lid! Hurry and grab yours today on Warehouse 23! An Announcement From The Secret Masters! Illuminati Coins are here! Missed out on the Kickstarter? Need more sets? Ready to join the conspiracy? This set of custom metal coins work with any game . . . or may be used for any number of other nefarious purposes. Just note we are not responsible for any failed bribes. Get yours today at Warehouse 23! Munchkin Pathfinder Guest Artist Edition gives players the same goblin-bashing, dragon-slaying fun of the original, now illustrated by Shane White, whose art has been previously featured in the Pathfinder: Goblins comic series. Arm yourself, kill hordes of goblins, and grab all the treasure! Get your copy now on Warehouse 23! Mat Of Mayhem Is Back! The Munchkin Mat of Mayhem is a Level tracker with a twist: every space (except lowly Level 1) has a game rule! Choose your path carefully to get the right bonus at the right time. This 24-inch square neoprene playmat will look fantastic in the middle of your game table, with your favorite miniature (or Munchkin pawn) showing your hero's rapid progress to Level 10 . . . and victory! Limited stock, so order now on Warehouse 23! In Munchkin Legends Deluxe, you'll face mythical monsters and collect legendary treasures. Challenge the Boogie Man to a dance-off and cheat by wearing Achilles' Heels. Hide from the spells of the Wicked Witch of the Midwest in your Bermuda Shorts of Invulnerability. And if you think you're up to it . . . release the Kraken! Get your copy today on Warehouse 23! Did Someone Say Pocket Box? Two Great Games. One Classic Package. Originally released in 1977 and 1978, the two first releases in The Fantasy Trip series, Melee and Wizard, were out of Steve Jackson's reach during the eighties when the classic Pocket Box was first produced. Finally, we're able to present these two great games in an 80s-styled package, making this the "What If?" edition you're sure had to have existed in the early days of gaming. 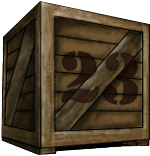 Get The Fantasy Trip: Melee & Wizard Pocket Box today on Warehouse 23! We've all been there . . . We don't know what to get for that someone who seems to have everything. Well, Warehouse 23 has your back with the Warehouse 23 Gift Certificate! You can get a digital gift card for any amount. We'll send the recipient an email with a code to redeem the certificate. Gift certificates are redeemable for store credit and expire in one year. Let them do the shopping for themselves as you sit back and relax. Get a Gift Certificate today on Warehouse 23! In Atlas Games' new Godsforge, you are an elite spellcaster. Roll, re-roll, group, and combine dice whose results channel the crucial elements you need to summon creations and cast sorceries from your cards. Whatever you choose to create or cast, your goal is simple: Take the last ebb of your opponents' life force and be the last one standing! Preorder now on Warehouse 23! The Fantasy Trip Is Back! And better than ever! The Fantasy Trip is easy to learn and fast to play – but it's been out of print for almost 40 years. Now it's back! Get The Fantasy Trip Legacy Edition, which includes everything you need for old-school roleplaying at its dungeon-crawling finest! Get your dungeon-diving on at Warehouse 23! Have fun in multiple languages! In the real world, languages are tricky, but the GURPS system simplifies the situation to keep the action moving. Now, additional realism is possible for the intrepid! To contemplate trade pidgins and fantasy realms where everyone speaks a universal language, peruse "Languages, Culture, and the Common Tongue" in Pyramid #3/16: Historical Exploration. For a grainier language system, "Colorless Green Ideas Sleep Furiously" from Pyramid #3/44: Alternate GURPS II has you covered. And mitigate the high cost of being a polyglot with "Speaking in Tongues" from Pyramid #3/54: Social Engineering. The language of fun is just a download away, thanks to Warehouse 23! Big Or Small? Have It All! Dealing with very large or very small creatures can be tricky with the standard GURPS system, but some optional rules can help to make your adventures more interesting. Add diversity at the tiniest level with "When We Were Very Small" from Pyramid #3/34: Alternate GURPS. Or think bigger regarding fights against huge creatures (or between foes of great size disparity), using "Combat Writ Large" in Pyramid #3/77: Combat. Add both issues to your gaming arsenal today with a download from Warehouse 23. It's the 21st century and everyone is talking about . . . conspiracies! Check out Conspiracy Theory, a game in which players try to create the wildest, silliest, or most believable theory! Impress the judge and get the most points to win! Order now on Warehouse 23! Get everything in the Munchkin Starfinder universe! With the Munchkin Starfinder I Want It All! box, you'll find every physical product unlocked and released during the Kickstarter campaign, including items that will not be available anywhere else! To prove you've got it all, you'll get a certificate with spots for signatures from Steve Jackson, Howard Tayler, and Andrew Hackard. Plus, the box comes with its own Munchkin Starfinder rule! Order now on Warehouse 23! How many dinosaurs can you catch? Roll the Dino Hunt Dice and see! In this quick game for parents and kids, you're capturing dinosaurs for your zoo. Push your luck and score as many points as you can, but don't get stomped by the dinosaurs! Order this easy-to-learn dice game today on Warehouse 23! Are there more than just insects lurking among your fragrant flowers? Unleash the fearsome fae to terrorize GURPS Monster Hunters champions with "The Wild Hunt" from Pyramid #3/45: Monsters. This feature includes six entities with ties to the Faerie realm, plus tips for how to deal with them. Download all your perils and possibilities from Warehouse 23 today!